1. Enter your car information and choose a service. 3. Bring vehicle in for service. Invoices settled automatically. Get all the information you need to make the right decision for your vehicle’s repair and maintenance in one place. Know exactly how much you should be paying. We can help you find and book the best shop in your area. Not sure about something? Our customer service can help provide clarity to your maintenance and repair needs! BUKL reserves the right, at its sole discretion, to update, modify or replace the Terms of Service (including any Policy), in whole or in part, at any time. BUKL will use reasonable efforts to notify you of any material change in advance of the effective date of any change. Change notices may be communicated by postings at the Site, via the Apps, e-mail or otherwise. In any case, you should periodically check the Policies and other Terms of Service for changes. Continued access or use of the Service following any change to the Terms of Service constitutes your acceptance of those changes. The Terms of Service may not otherwise be amended, as they apply to you, except by a written agreement executed by you and BUKL. BUKL may modify, suspend or terminate the Service (including without limitation, the Site or any App), in whole or in part, at any time. The Service is intended by BUKL to be made available to individuals of all ages. However, if you are under the age of 18, you should review these terms of service with your parent or guardian to make sure that you or your parent or guardian understand the terms contained in these terms of service. The Service is intended by BUKL to be made available only to individuals who are at least 18 years old. If you do not qualify, then you are prohibited from downloading, accessing, using and registering for the Service. BUKL will not collect personally identifiable information from any person who is actually known to us to be under the age of 13. If we become aware that a person under 13 has provided personally identifiable information, BUKL will take steps to remove such information and terminate that individual’s account, access and use of the Service. BUKL may refuse to offer or continue offering the Service to any person and may change its eligibility criteria from time to time. The Service may be accessed several ways: by visiting the Site directly; or by using a web plug-in that is made available to you by BUKL; or by using an App that is downloaded from BUKL (or a Channel Partner), which then communicates with BUKL’s web servers; or by using a widget that is made available to you by a Channel Partner, which operates or otherwise connects to BUKL’s web servers (and which may operate within a frame or wrapper provided by the Channel Partner). 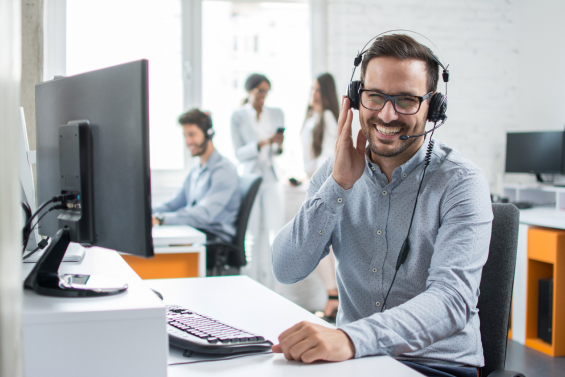 The term Channel Partner means any Internet publisher, website operator, reseller, distributor or other third party who is authorized to drive user traffic, or facilitate access, to the Service pursuant to arrangements with BUKL. Regardless of how you access the Service, to ensure the integrity of the Service, you must complete an account registration process and provide BUKL with current, complete and accurate information, as more specifically required by then current registration procedures and operational prompts. By way of illustration and not limitation, you may be required to provide the following information in order to establish your account and register for and use the Service: name, address, telephone number, e-mail address, vehicle information (make, model, year, mileage and VIN), username, password and certain preferences and permissions (such as, for example, preferred contact method). You are required to maintain and update your registration data from time to time, to ensure that it is always current, complete and accurate. BUKL may refuse to accept your application to register for the Service, in its sole discretion. Upon acceptance, BUKL will establish access credentials for your account. You are solely responsible for maintaining the confidentiality of your access credentials and other account information, and you will be solely liable for any and all activities under your account. You agree to notify BUKL immediately of any unauthorized use of your account or any other breach of security related to the Service. 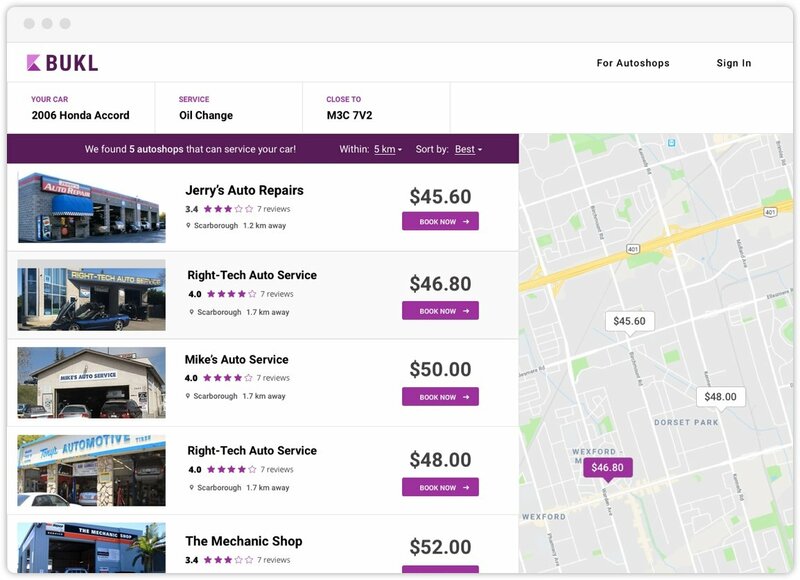 The Service includes the ability for users to investigate, compare quotes, book appointments, purchase vehicle maintenance, repair, roadside assistance, vehicle transportation and related services (Vehicle Services) from certain dealerships, repair shops and independent contractors (Mechanics, Towing Companies & Vehicle Transportation Companies). Based on your query, BUKL will solicit quotes on your behalf from Mechanics, Towing Companies or Vehicle Transportation Companies that are willing to provide your requested Vehicle Services. If you elect to accept any such quote for Vehicle Services and book an appointment with the applicable Mechanic,Towing Company or Vehicle Transportation Company then you will be required to provide valid Credit Card Information (cardholder name, card number, expiration date and security code), which will be verified by BUKL’s service provider (merchant bank) before your Vehicle Service is confirmed. For clarity, all Vehicle Services are provided by the applicable Mechanic,Towing Company or Vehicle Transportation Company, not BUKL. Accordingly, Vehicle Services are not deemed to be within the scope of the Service offered and provided by BUKL, and BUKL (and its Business Partners, other than the applicable Mechanic,Towing Company or Vehicle Transportation Company) have no obligation or liability regarding Vehicle Services. As a result of its limited role as an intermediary between you and the Vehicle Service providers, BUKL has no control over the quality, timeliness, price, guarantees, risks or damages related to Vehicle Services. Therefore, you agree, in connection with any use of the Service resulting in the purchase and performance of Vehicle Services: (a) to release BUKL (and its Business Partners, other than the applicable Mechanic,Towing Company or Vehicle Transportation Company from any and all claims, demands, damages and liabilities, of any type and nature, known and unknown, suspected and unsuspected, disclosed and undisclosed, arising out of or in any way connected with such Vehicle Services (including any disputes arising therefrom); and (b) to attempt to settle any dispute directly with the applicable Vehicle Service provider. Except as expressly provided otherwise in the Terms of Service, BUKL and each user is solely responsible for all of its costs and expenses related to the Service. At this time, as a vehicle owner you may access and use the Service without charge. In the future, BUKL may decide to charge for certain Apps or other features of the Service (or to change the price charged for such Apps and features), in which case you will be notified of that change. Should you elect to obtain any such fee-bearing App or feature, you hereby agree to pay all applicable fees, in the amounts, at the times and subject to any other conditions established for that App or feature. Such fees may be specified on a recurring basis (e.g., subscription or usage fees) or non-recurring basis (e.g., one-time fees). You are solely liable for the cost of Vehicle Services you receive. The price for Vehicle Services (including any applicable taxes) will be established by the applicable Mechanic, as set forth in the offer you accepted (or as increased or decreased as a result of changes in the scope of Vehicle Services to which you and the Mechanic have agreed). You hereby agree that BUKL may immediately charge the full and final price to your credit card after the Mechanic notifies BUKL that the Vehicle Services have been completed. After receipt of payment from your credit card, BUKL will retain a service fee and pay the remainder to the Mechanic, in accordance with the arrangement between them. Unless specified otherwise, all amounts due hereunder shall be paid in US dollars, in immediately available funds by credit card, in full without set-off, counterclaim or deduction. Any amount not paid when due shall bear a late payment charge until paid at the rate of 1.5% per month or the maximum amount permitted by law, whichever is less. If any payment is past due, BUKL shall have the right to take whatever action it deems appropriate (including without limitation, suspending or terminating your access and use of the Service). You agree to reimburse BUKL for all reasonable costs and expenses (including attorneys' fees) incurred in collecting payments. The Service collects, stores, processes and analyzes User Data and produces Analytics. Accordingly, whenever you interact with the Service, a variety of technologies are employed to automatically or passively collect User Data. The term User Data means all data and information that are provided by you during registration and subsequent use of the Service (including queries related to obtaining Vehicle Services), and all other data and information about you that are otherwise discerned or collected by BUKL based on your access and use of the Service. For clarity, User Data includes, but is not limited to: browser or device type; operating system; time of day; identification of the page served and preceding page views; use of particular Service features or applications (such as, for example, viewing or responding to advertisements); registration data; vehicle information; geographic location; Vehicle Service histories. The term Analytics means user profiles and statistics, metrics, abstractions and other analyses that are based on or derived from your use of the Service and User Data, which are developed in the aggregate with other data or which are developed in a manner that does not disclose your identity or User Data (unless in aggregated or anonymized form). You hereby authorize BUKL to use your User Data and to exploit Analytics in the manner and for the purposes described in these Terms of Service, including without limitation: to use User Data to communicate with you; to include, copy, disclose, distribute, transmit and display User Data in communications that you have initiated via the Service; to access, record, collect, copy, store, process, analyze and use User Data to provide the Service (including to solicit offers for Vehicle Services from Mechanics and to confirm appointments); to develop, improve, extend and test the Service (and underlying technology platform); to design, develop and produce Analytics; and to disclose, distribute and transmit User Data and/or Analytics to Channel Partners, Mechanics, advertisers, advertising networks, content distributors and other of BUKL’s customers, service providers and business partners (collectively, Business Partners). Notwithstanding the foregoing, BUKL does not record or store your Credit Card Information. Credit Card Information is provided to and retained by BUKL’s merchant bank, where it is used solely for the purpose of verification and validation, and for charging payments for completed Vehicle Services. The Service may include discussion forums or other communications features, through which users may publicly post and/or exchange content and information they think may be of interest to other users based on their use of the Service (such as, for example, reviews and ratings regarding Vehicle Services) and other related subjects (collectively, User Content). You agree not to post or distribute any confidential User Content or other information that you desire (or are required) to keep secret. BUKL does not undertake to pre-screen, authenticate, validate, monitor, moderate or edit any User Content. However, BUKL and its agents have the right, at their sole discretion, to remove in whole or in part, at any time, any User Content that, in BUKL's judgment, does not comply with the Terms of Service or otherwise appears to be harmful, objectionable or inaccurate. BUKL is not responsible for any failure or delay in removing any such content. Because BUKL does not review the substance of User Content, or other user-to-user communications via the Service, you must be careful in dealing with other users to avoid unintended consequences. You acknowledge that information provided by users may, despite the prohibitions set forth in the Terms of Service, be harmful, inaccurate or deceptive. Authentication of the true identity of remote (Internet or mobile) users is difficult, and so BUKL cannot and does not confirm that each user is the person who they claim to be. BUKL is not involved in user-to-user dealings and, therefore, in connection with any use of the Service, you agree: (a) to release BUKL (and its affiliates, licensors, Channel Partners and other Business Partners) from any and all claims, demands, damages, liabilities, costs and expenses, of any type and nature, known and unknown, suspected and unsuspected, disclosed and undisclosed, arising out of or in any way related to your use of the Service (including any disputes with other users); and (b) to attempt to settle any dispute directly with such other user or other third party. However, this release is not intended to waive any legal claim you may have against any Mechanic for defective Vehicles Services. impersonates any person or entity, including any employee or representative of BUKL or any Business Partner. BUKL may, at its sole discretion, immediately suspend or terminate your access to the Service should your conduct fail (or appear to fail) to strictly conform to any provision of this section. BUKL has no obligation to monitor the Service or any user’s use thereof. However, BUKL reserves the right at any time and without notice to monitor, review, copy, retain or disclose any information as may reasonably be necessary to satisfy any applicable law, regulation, legal process or governmental request or investigation (including any inquiry from law enforcement). You may be able to obtain an App, access the Service and/or communicate with the Service from, and you may be able to link or communicate from the Service to, applications, devices and websites owned and operated by Mechanics, Channel Partners, advertisers or other Business Partners. These other applications, devices and websites are not operated or controlled by BUKL, and you agree that BUKL is not responsible for the availability, accuracy, legality, appropriateness or any other aspect of the content or function of such applications, devices and websites. Any such connection to or from the Service does not constitute or imply any guarantee or endorsement by BUKL of that application, device or website or any association with its operators. Additional or different terms and conditions (including without limitation, privacy and security practices) apply when you access and use such other applications, devices and websites. The Service may include advertisements and promotions for and offers from BUKL, Business Partners and other third parties. Advertisements may be displayed adjacent to or included with User Content, or may include User Content. You are not entitled to any compensation for any such advertisement or information. BUKL reserves the right, for itself and on behalf of its Business Partners, to deliver advertisements, promotions and offers to you in conjunction with your use of the Service and to utilize your device's processor and storage resources for this purpose. Advertisements, promotions and offers may be contextual, meaning they were selected for delivery to you based criteria that are related to your use of the Service (such as, for example, User Data like your current location or type of vehicle, or Analytics derived from your usage). Any opt-out that you provide regarding direct marketing communications will not apply to the delivery of advertisements. In addition, you may receive advertising and promotional information or offers as a result of responding to prompts or advertisements rendered by the Service. Except for Vehicle Services, any and all of your dealings with advertisers and other third parties via the Service, and your participation in promotions and offers, including the delivery of and the payment for goods and services, and any other terms, conditions, representations, warranties and remedies, associated with such dealings, promotions and offers, are solely between you and the applicable third party. BUKL is not responsible or liable for any such dealings, promotions or offers. The Service (including the Site and Apps), and all content, materials, data and other information created by or for BUKL (or its affiliates, licensors or Business Partners) and made available via the Service (collectively, Content), are protected by copyrights, trademarks, service marks, patents, trade secrets or other proprietary rights and laws, and BUKL (and its applicable affiliates, licensors and Business Partners) shall own and retain all rights, title and interests (including all intellectual property and proprietary rights) therein and thereto. Unless and only to the extent expressly authorized by BUKL, you agree not to sell, license, rent, modify, distribute, copy, reproduce, transmit, publicly display, publicly perform, publish, adapt, edit or create derivative works of any part of the Service or Content. However, unless the Service states or implements a different restriction, you may download, reproduce or transmit a reasonable number of copies of Content for your personal, noncommercial purposes; provided, that you retain all copyright and other proprietary notices contained therein. Your systematic retrieval of data or other Content from the Service to create or compile, directly or indirectly, a collection, database or directory is strictly prohibited without BUKL's express prior written permission. IMPORTANT: If you desire to access or use the Service or Content for any purpose other than personal, noncommercial reference, then you must first secure permission from BUKL or other owner of that Content. Reproducing, copying or distributing any App, or any Content, or any design elements from the Site or any App, for any other purpose is strictly prohibited without BUKL's express prior written permission. Attempting to access or use the Service or Content for any purpose not expressly permitted in the Terms of Service is prohibited. LICENSE. Provided You comply with all terms and conditions of these Terms of Service, BUKL grants You a revocable, limited, non-transferrable license to use the service on any iPhone or Android phone that You own or control and as permitted by Usage Rules set forth in the App Store Terms and Conditions or the Google Play Terms of Service, whichever is relevant. acknowledge and agree that User Content is intended to and will be made available to and used by other users, and by BUKL and its Business Partners. IMPORTANT: You agree not to contribute any User Content unless you have all of the rights (including rights from the copyright owner) necessary to grant BUKL the foregoing use license, and to satisfy all of the warranty requirements described above. The Service may (but is not obligated to) provide you with the ability to remove some or all of your User Content. Following any such removal, BUKL will use commercially reasonable efforts to discontinue its further display, performance and distribution of such User Content; provided, however, you acknowledge and agree that BUKL may continue using such User Content in the same manner and for the same purposes as it did prior to removal of such content (such as, for example, as used in any advertising created prior to removal) and that BUKL shall have no responsibility or liability in respect of any further use of User Content that was previously exported by BUKL or shared with other users via the Service or that was downloaded or copied by other users to other websites, systems and devices. Data is uploaded from the Service based on trip information. Data captured includes trip start and end time, miles, fast accelerations, hard stops, fast cornering and speed during a trip. In addition the Service captures trip route information (GPS enabled) and mobile device information including IMEI and operating system Data collected from the Service may be viewed on the mobile device. The Program Administrator may be able to view trip start and end time, miles, hard stops, duration of driving at speeds at or above 80 mph, average and maximum speed during a trip using BUKL. No data will be collected once your program participation has ended. We further recommend you uninstall the Service from your mobile device. BUKL gathers and combines data from the Service for the purpose of determining benefits of the BUKL Reward program as well as analysis and risk evaluation, so your data may be retained indefinitely. We will not disclose or use data obtained from the Service to resolve any claims you or another driver of your vehicle may make with BUKL unless we receive a written request from you asking us to consider the data. Data collected from the Service may be provided to insurance regulators to support rate or other insurance related filings. Data may also be disclosed to third parties, as required by law, and may be deemed discoverable by third parties and used in an accident investigation and/or litigation. BUKL and/ or you may be legally required to provide the data to others and /or their legal counsel, and you should not expect to retain any privacy or confidentiality related to your use of the Service. The Service transmits data via your wireless carrier or accessible Wi-Fi network. BUKL is not responsible or liable for any data charges associated with the use of any Service. The service may occasionally be restricted, interrupted or discontinued due to conditions such as, but not limited to: app design, network coverage, government regulation, or other situations beyond BUKL’s control. The Service transmits data regarding Your GPS location. You may turn off Location Services for the Service and no data will be collected during this time. agree to grant and do hereby grant to BUKL and its affiliates and licensees a non-exclusive, transferable, perpetual, irrevocable, royalty-free, worldwide right and license to use, modify and make derivative works of the Feedback, in any manner, in any media and for any purpose, and to permit third parties to do the same. BUKL may immediately terminate your access to all or any part of the Service (including without limitation, any App) at any time, with or without cause, with or without notice. Upon any termination, all rights and obligations of the parties under these Terms of Service shall cease, and you shall immediately stop accessing and using the Service, except that (a) all obligations that accrued prior to the effective date of termination (including payment obligations) and all remedies for breach of the Terms of Service shall survive, (b) BUKL will reasonably cooperate with completing any Vehicle Services booked prior to termination (including collecting and distributing payments), (c) BUKL may retain and use non-personally identifiable User Data and (d) the provisions of the section entitled Advertising and Promotions, and all following sections herein, shall survive. After termination, BUKL has no obligation to maintain any User Data or User Content or to forward any unread or unsent messages to you or to any other user or third party. THE SITE, APPS, CONTENT AND ALL OTHER ASPECTS OF THE SERVICE ARE PROVIDED "AS IS" AND "AS AVAILABLE". THE SITE, APPS, CONTENT AND ALL OTHER ASPECTS OF THE SERVICE ARE PROVIDED WITHOUT REPRESENTATION OR WARRANTY OF ANY KIND, EXPRESS OR IMPLIED, INCLUDING, BUT NOT LIMITED TO, ALL IMPLIED WARRANTIES OF ACCURACY, INTEGRATION, TITLE, NON-INFRINGEMENT, QUIET ENJOYMENT, MERCHANTABILITY AND FITNESS FOR A PARTICULAR PURPOSE, AND ALL WARRANTIES IMPLIED BY ANY COURSE OF PERFORMANCE OR USAGE OF TRADE, ALL OF WHICH ARE EXPRESSLY DISCLAIMED. BUKL AND ITS AFFILIATES, LICENSORS AND BUSINESS PARTNERS DO NOT WARRANT THAT: (A) ANY INFORMATION WILL BE TIMELY, ACCURATE, RELIABLE OR CORRECT; (B) THE SERVICE WILL BE SECURE OR AVAILABLE AT ANY PARTICULAR TIME OR PLACE; (C) ANY SERVICE DEFECTS OR ERRORS WILL BE CORRECTED; (D) THE SERVICE WILL BE FREE OF VIRUSES OR OTHER HARMFUL COMPONENTS; OR (E) ANY RESULT OR OUTCOME CAN BE ACHIEVED. USE OF THE SERVICE IS SOLELY AT YOUR OWN RISK. ALL REPRESENTATIONS AND WARRANTIES REGARDING ANY VEHICLE SERVICES SHALL BE, IF AT ALL, ONLY AS EXPRESSLY AGREED BETWEEN YOU AND THE APPLICABLE MECHANIC. You agree that BUKL (and its affiliates, licensors and Business Partners) shall not be responsible or liable for any unauthorized access to, alteration or use of your account, transmissions or data, or for any material or data sent or received or not sent or received through the Service. You agree that BUKL (and its affiliates, licensors and Business Partners) shall not be responsible or liable for any threatening, defamatory, obscene, offensive, illegal or other content or conduct of any user or any user's infringement of another's rights, including intellectual property rights, rights of publicity or privacy rights. IN NO EVENT SHALL BUKL (OR ITS AFFILIATES, LICENSORS AND BUSINESS PARTNERS) BE LIABLE CONCERNING ANY SUBJECT MATTER RELATED TO THE SITE, APPS, CONTENT OR OTHER ASPECTS OF THE SERVICE, REGARDLESS OF THE FORM OF ANY CLAIM OR ACTION (WHETHER IN CONTRACT, NEGLIGENCE, STRICT LIABILITY OR OTHERWISE), FOR ANY (A) MATTER BEYOND ITS REASONABLE CONTROL, (B) LOSS OR INACCURACY OF DATA, LOSS OR INTERRUPTION OF USE, OR COST OF PROCURING SUBSTITUTE TECHNOLOGIES, GOODS OR SERVICES, (C) INDIRECT, PUNITIVE, INCIDENTAL, RELIANCE, SPECIAL, EXEMPLARY OR CONSEQUENTIAL DAMAGES INCLUDING, BUT NOT LIMITED TO, LOSS OF BUSINESS, REVENUES, PROFITS OR GOODWILL, OR (D) DAMAGES, IN THE AGGREGATE, IN EXCESS OF AMOUNTS YOU PAID TO BUKL FOR THE SERVICE OR US$100.00, WHICHEVER IS GREATER, EVEN IF IT HAS BEEN ADVISED OF THE POSSIBILITY OF SUCH DAMAGES. BUKL’S MAXIMUM LIABILITY FOR ANY CLAIM OR ACTION RELATED TO ANY VEHICLE SERVICES SHALL NOT EXCEED THE SERVICE FEE RETAINED BY BUKL FOR THE VEHICLE SERVICES GIVING RISE TO YOUR DAMAGES. THESE LIMITATIONS ARE INDEPENDENT FROM ALL OTHER PROVISIONS OF THIS AGREEMENT AND SHALL APPLY NOTWITHSTANDING THE FAILURE OF ANY REMEDY PROVIDED HEREIN. SOME STATES AND OTHER JURISDICTIONS DO NOT ALLOW THE EXCLUSION OR LIMITATION OF LIABILITY FOR INCIDENTAL OR CONSEQUENTIAL DAMAGES, SO THE ABOVE LIMITATIONS AND EXCLUSIONS MAY NOT APPLY TO YOU. You agree to (a) defend BUKL, its affiliates, licensors and Business Partners, and their officers, directors, employees, contractors and representatives (Indemnitees) against any action or suit by a third party that arises out of any transaction or other dealings between you and any other user or Business Partner, your use or misuse of the Service, or your breach of any of your representations, warranties or covenants under the Terms of Service and (b) indemnify the Indemnitees for liabilities (resulting from settlements or judgment awards), costs and expenses (including without limitation, reasonable attorneys’ fees) related to such claims. In addition, BUKL reserves the right to assume the exclusive defense and control of any matter subject to the foregoing indemnity, in which event you will assist and cooperate with BUKL in asserting any available defenses. You hereby expressly consent to the transmission, collection, storage, processing and use of your User Data, User Content and Analytics within, from and to the United States, in addition to the country where you are located (if not the United States). BUKL makes no representation that the Service is accessible, appropriate or legally available for use in locations outside the United States, and accessing and using the Service is prohibited from territories where doing so would be illegal. If you access or use the Service from other locations, then you do so at your own initiative and are responsible for compliance with local laws. A printed version of the Terms of Service and of any notice given in electronic form shall be admissible in judicial or administrative proceedings based upon or relating to the Terms of Service (including any Policy) to the same extent and subject to the same conditions as other business documents and records originally generated and maintained in printed form. You and BUKL agree that any claim or cause of action arising out of or related to the Service must be commenced within 1 year after the claim or cause of action arose. Otherwise, such claim or cause of action is permanently barred. The Terms of Service shall be governed by and construed in accordance with the laws of the Commonwealth of Massachusetts, USA, excluding its conflicts of law rules. In the event of any conflict between US and foreign laws, regulations and rules, US laws, regulations and rules shall govern. The United Nations Convention on Contracts for the International Sale of Goods shall not apply to the Terms of Service. Except that either party may seek an injunction or other equitable relief from any court of competent jurisdiction, all disputes between the parties arising out of or in relation to or in connection with the Terms of Service shall be settled by binding arbitration in accordance with the JAMS streamlined arbitration rules and procedures then in force, by one neutral arbitrator appointed in accordance with the rules. The arbitration shall take place in Boston, Massachusetts, USA. The proceedings shall be in English, all evidence shall be in English (or translated into English) and the governing law shall be as set forth herein. The arbitrator’s decision shall be in writing and shall comply with all terms and conditions in the applicable version of the Terms of Service. The decision and award rendered shall be final and binding on both parties. The parties acknowledge and agree that the Terms of Service and any award rendered pursuant hereto shall be governed by the UN Convention on the Recognition and Enforcement of Foreign Arbitral Awards. Judgment on the award may be entered in any court of competent jurisdiction. Use of the Service is not authorized in any jurisdiction that does not give effect to all provisions of the Terms of Service, including without limitation, this section. These Terms of Service (including the then current Policies) are the entire agreement between you and BUKL with respect to access, use and operation of the Service, and supersede all prior or contemporaneous communications, proposals and agreements (whether oral, written or electronic) between you and BUKL with respect to the Service. If any provision of the Terms of Service is found to be unenforceable or invalid, that provision will be limited or eliminated to the minimum extent necessary so that the Terms of Service will otherwise remain in full force and effect and enforceable. Your rights and obligations under the Terms of Service are personal to you, and are not assignable, transferable or sublicensable by you except with BUKL's prior written consent. BUKL may subcontract, delegate, assign or otherwise transfer any or all of its rights and obligations hereunder without your consent. All waivers, consents and modifications must be in a writing signed by both parties, except as otherwise provided herein. No agency, partnership, joint venture, or employment relationship is created as a result of the Service or Terms of Service, and neither party has any authority of any kind to bind the other in any respect. All notices under these Terms of Service will be in writing, in English and will be deemed to have been duly given when received, if personally delivered or sent by certified or registered mail or express courier, return receipt requested; when receipt is electronically confirmed, if transmitted by facsimile or e-mail. You have an incomplete quote or application.